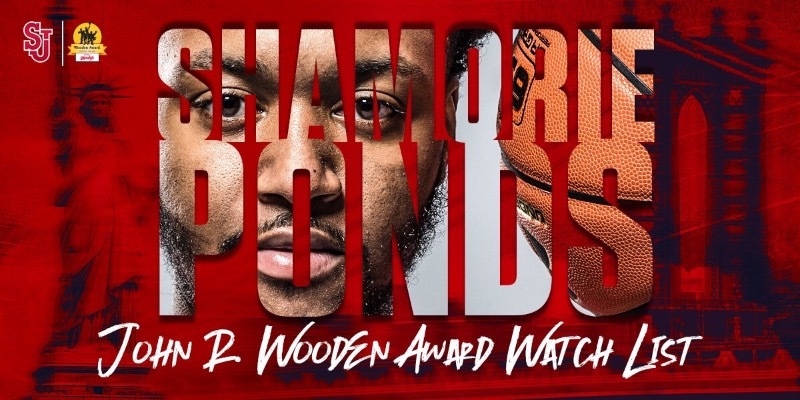 In addition to being named the @BIGEASTMBB Player of the Week, @ShamorieP has also been named the Lute Olson Award National Player of the Week! Clearly the people responsible for nominating him for these honors do not read these boards. Otherwise they would be educated on the fact that Ponds dribbles too much, plays to much "schoolyard ball" and doesn't do a good enough job of setting up Marvin Clark to miss more threes. 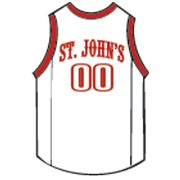 SJU will only benefit if Ponds takes it to the rim instead of settling for a three. He is a great penetrator and foul shooter. we are sju wrote: Clearly the people responsible for nominating him for these honors do not read these boards. Otherwise they would be educated on the fact that Ponds dribbles too much, plays to much "schoolyard ball" and doesn't do a good enough job of setting up Marvin Clark to miss more threes. If Ponds had your mentality, his future would be schoolyard ball and a career in Lithuania, Peru, Morocco, anywhere but the NBA. He realizes, like many of us do, that there are separate quantum leaps from high school star to college star to the NBA. If the draft was held today, even if only based on last week's work, the first or second round would not be a certainty. Ponds appears to be working very hard at refining his game - ALL ASPECTS of his game, because to get to the NBA at his size, he needs to be a dead eye shooter from three, be the best ball handler on the floor, and be a great distributor as well. Even with 67 points in 2 games last week, Ponds knows there is much improvement to convince the NBA he is worth a 1st round look. If the only issue was him putting up points, or even us getting to the Dance, he'd be a good bet right now to get drafted. But it isn't. He has a lot to prove, appears to have a strong desire to do it, and frankly I'm excited to see more of the thread the needle passes, and other game refinements as he works towards that end. Through 7 games Ponds is shooing 63% on 2 pt shots. Unbelievable around the basket. He also has a 3.1 A:TO ratio. Yesterday he again made huge defensive plays late. Amaseinyourface wrote: Through 7 games Ponds is shooing 63% on 2 pt shots. Unbelievable around the basket. He also has a 3.1 A:TO ratio. Yesterday he again made huge defensive plays late. Ponds is obviously such a force in tight end of game situations with money results drawing fouls and converting. Such a valuable commodity! Enjoy him, because you won’t readily see such an offensive force like him wearing red and white for some time I suspect. Ponds has a chance at the NBA. He is somewhere in between a lock and a huge longshot. Showing he can lead his team to a big season will go a long way. As a guard and the dominant force on the team, he needs to show NBA teams he is a winner. No matter how hard he works, he can't change his height and level of athleticism. The NBA, which everyone seems to forget, has the best talent from all over the world. I'm hoping that his fearlessness with a game on the line will endear him to a team willing to give him a chance. I don't want this to be the last year I can watch him play. May never see a guy as adept at finishing around the rim. In any circumstance really, and undoubtedly something that will be a huge asset playing against pros.